Joan of Arc is hailed as the maiden prophesised to save France and her courage, dedication, eloquence and martyrdom make her an enduring inspiration. Acclaimed author Tabatha Yeatts depicts Saint Joan’s remarkable story, from her first experience of hearing sacred voices to her canonization. 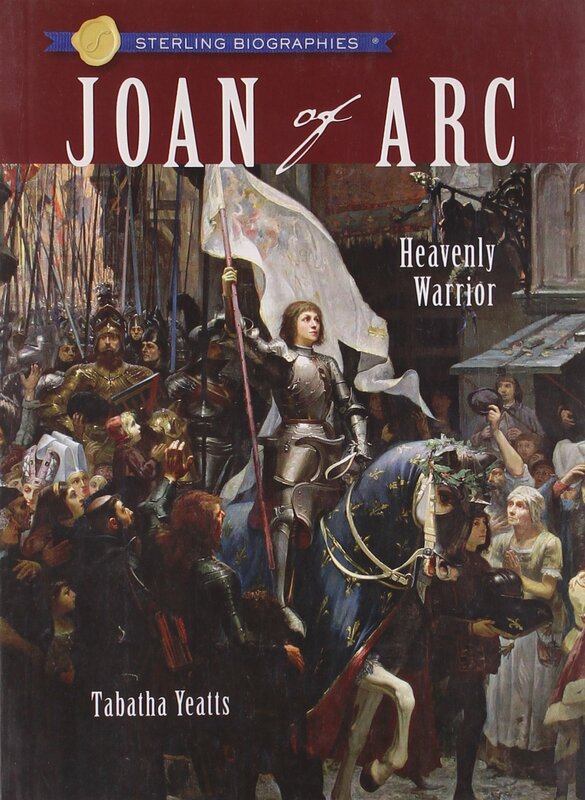 Learn all about Joan of Arc’s childhood in war-torn France; ride with the young warrior into battle after battle and see how she helped a king win his rightful crown; and, find out about her terror-filled final days and how, finally, her reputation was gloriously, posthumously restored. Posted in Chapter books, Children's Book, Children's BooksTagged Book, Children's, History, Joan of Arc, New Orleans Public LibraryBookmark the permalink.